To see a sample of this book, which includes the introduction and Session 1, CLICK HERE. The four introductory small group agendas based on the book of Acts found in this book are a great way to launch a new small group the right way! 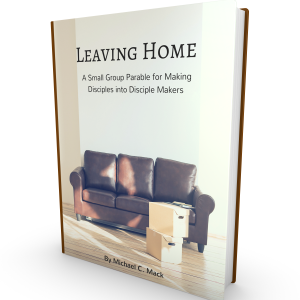 Launch your new small group the right way with these four sessions. Each of these sessions actually sets your group up to be healthy, which means it will grow, bear fruit, and reproduce . . . as it should. Mobilizes the entire group based on the model of the early church. This is the first book in a five book series called “The Community Life Series” available from TOUCH Outreach Ministries – www.touchusa.org.